The extraordinary ministers of Holy Communion make a positive contribution to the celebration of Eucharist by assisting the priest and deacon in the distribution of Holy Communion as well as other additional functions as needed. Eucharistic Ministers distribute Holy Communion at Mass during weekend liturgies, holy days and other special feast days. Eucharistic Ministers also contribute to the pastoral care of the sick by taking communion to those who cannot attend Mass because of sickness. They do this by going to the homes of individuals as well as going to various nursing homes and assisted living facilities within the parish boundaries. They serve the worshiping community by bringing them the true presence of Jesus Christ in the consecrated body and blood of our Lord. We welcome new Eucharistic ministers throughout the year. Training sessions are held in the church. 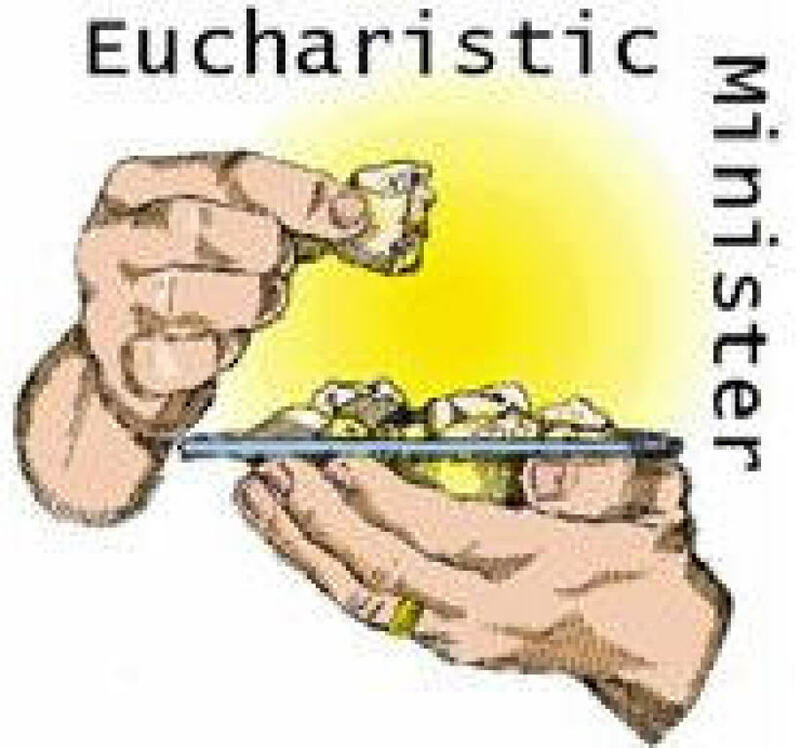 If you are interested in serving as a Eucharistic minister, please contact the office at (505) 898-5253, Ext 0 for the date of the next training session. "Take this, all of you, and drink from it. This is the cup of My blood, the blood of the new and everlasting covenant. It will be shed for you and for all so that sins may be forgiven. Do this in memory of Me." Your assigned duties during the Mass include assisting the Head Minister with the collection. No one should handle the collection alone. Therefore we ask the assisting minister to come directly to the sacristy during the presentation of the gifts where they will, together with the Head Minister, place the collection from the basket into the plastic bag, seal the bag and place it in the locked closet. Then sign your name on the designated paper.